Home » The Mickey Spirit » Do you REALLY know Mickey? Data Center trailer for Oil & Gas drillers. You buy all of your sideloading beverage bodies and trailers from Mickey because you know Mickey makes the best sideloading beverage bodies and trailers in the business, and that Mickey offers greater value and better customer service than any other manufacturer serving your industry. If you’re delivering virtually any soft drink, beer or bottled water brand in the U.S., there’s a 70 to 80% chance that you’re loading a Mickey body or trailer every day. In fact, if you are delivering any beverage in any one of 50 countries around the world, you probably know Mickey. But do you really know Mickey? Do you know that Mickey is the exclusive supplier of vending bodies to the largest vending machine operating company in the U.S.? Do you know that the No. 1 automotive replacement battery brand in North America is delivered only on Mickey bodies? Do you know that the largest marketer of propane gas and services in the U.S. gets its tanks and other equipment to over 2 million customers on Mickey bodies? Do you know that the second largest ambulance builder in the country, with a market share over 20%, has been purchasing its modular ambulance bodies exclusively from Mickey for nearly a quarter century? Do you know that Mickey is the largest manufacturer of moving and furniture vans in the country? Custom ‘combo’ trailer for draft and packaged beverages. Do you know that those world famous cream-filled sandwich cookies you like to snack on were probably delivered to your favorite store on a Mickey dry freight van body? Do you know that Mickey is supplying custom-engineered data trailers and vans; chemical van units; and control cabins for use at drilling sites by some of the major players in the oil & gas industry? Do you know that Mickey owns and operates the only nationwide network of full-service Reconditioning & Service centers in the truck body and trailer manufacturing business? Do you know that Mickey buys and sells all makes and models of used delivery equipment? Do you know that Mickey stocks a complete line of all major parts for most makes and models, even competitive units, which can be available for same-day shipping? Do you know that Mickey Truck Bodies has been in business for 110 years, and for that entire time has been privately owned and operated by the Mickey family. Four members of the Mickey family are active in the day-to-day running of the company, including the President/CEO; Executive Vice President; Manufacturing Manager; and Marketing Manager. Mickey Truck Bodies is the most versatile manufacturer of specialized truck bodies and trailers in the world, with a customer base that reads like a “who’s who among global brands.” Leading companies across dozens of industries – from beverage to battery, from furniture to fuel, from snack foods to fast foods – deliver their products in Mickey bodies and trailers. Our manufacturing approach, which is the same for every type of unit we build, is centered on a unique “Service Delivery Model” that combines engineering expertise with a century-plus of vehicle manufacturing innovation. The process starts with a clear understanding of the customer’s business objectives and a detailed assessment of the vehicle’s operational environment. We do not employ a “one-size-fits-all” approach to manufacturing. Our engineering and manufacturing technology and capabilities enable us to build any product you need today, and to meet your delivery needs as they change or expand in the future. 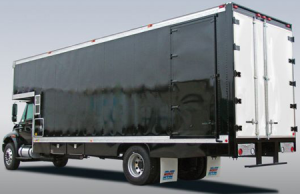 We will always manufacture EVERYTHING you need to handle ALL of your delivery needs. Visit our web site – www.mickeybody.com – to learn more about our completely automated manufacturing facilities and equipment, our products and our people.